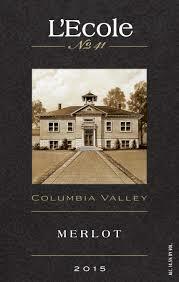 This Merlot (80%), Cabernet Franc (13%), Malbec (5%), and Petit Verdot (2%), originates from Columbia Valley Washington. L’Ecole No. 41 is known for producing premium Merlot in the state of Washington. Grapes are hand harvested and fermented in stainless steel. Four rackings took place into 100% small oak barrels (30% new) and this wine was aged for 18 months. Case production is limited to 5,170. This is not your mom’s merlot…This is an amazing fruit forward, balanced, and elegant wine. Close your eyes and appreciate the many layers this wine has to offer. You will get black cherry followed by plum, notes of violet, and cocoa. Very approachable tannins. This wine is smooth and seductive. Enjoy with skirt steak, grilled onions, and sauteed mushrooms. Oh, and with friends! This organic 100% Riesling originates from Willamette Valley, Oregon. The 2016 growing season was similar to the two previous years with a warm spring bringing on bud break between 2-4 weeks early. Smaller fruit production was the result of a short heat spell followed by average summer conditions. This wine is limited to 800 cases. This is your “go to” pre meal wine. It is super dry and Sauvignon Blanc esq. Lots of citrus flavors hit your palate followed by a clean and dry finish. This wine will cleanse your palate and get it ready for what is next. Enjoy! Sean Minor has created a special blend of Merlot (44%), Petite Sirah (25%), Zinfandel (25%), and Petit Verdot (6%). Named after his wife, the Nicole Marie Blend presents aromas of dark fruit, brown sugar, and a hint of vanilla. Long and lingering dry finish. Stainless steel fermented, racked in a combination of French and American oak (20% new). This is the second time we have shared this wine. We brought it back because it is SO GOOD! 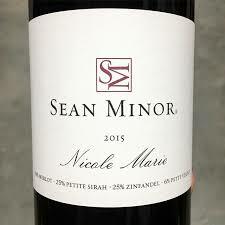 This time, Sean Minor has increased the percentage of Petite Sirah giving this wine a really nice kick of spice. What can we say?, he named this wine for his wife. Smart guy. 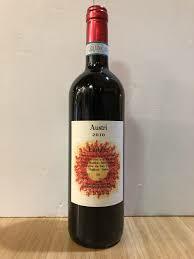 This is a fruity and spicy blend with strong but approachable tannins. If you ever find yourself saying, “I like blends,” you have to try this wine. Best served with roast pheasant or your favorite bbq dish and friends. This Rose blend of Grenache (70%), Rolle (25%), and Syrah (5%), originates from the Languedoc-Roussillon region of France. More specifically, the Grenache and Rolle come from pebbly siliceous-clay terraces while the Syrah comes from ground on a dark volcanic hillside. The saignée method (“bleeding in French) is used to produce this wine. Both the Grenache and Rolle grapes are destemmed and fermented together. Once the essential flavors have been extracted, the resulting juice is bled and fermented at a moderate temperature. A small portion is vinified and aged in oak barrels. Syrah is added following aging to promote balance and complexity. Ok, we get it, this wine has A LOT going on with the process and it was probably REALLY HARD to make this wine taste SO good. This wine is flippin GOOD! 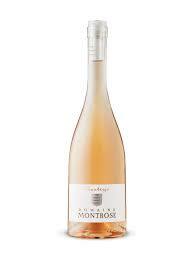 The first thing you will notice is the perfect pale pink hue to this wine. Next you will take in the citrus nose. Next, you will get a touch of sweetness that hits you right away. Close your eyes, can you taste the mandarin oranges? This wine is best served with seared scallops or even just on its own. What a treat! Enjoy with friends. This Certified Biodynamic wine originates from Piedmont, Italy. It is comprised of 95% Barbera and 5% Nebbiolo. This wine spends three years in elevage in large neutral oak barrels followed by three to four more years in the bottle. Anybody remember what they were doing in 2010? Well this wine will bring you back to “the good old days” and was certainly worth the wait for this wine to age to perfection. Barbera is a tempermental grape that likes to be left alone for a while. 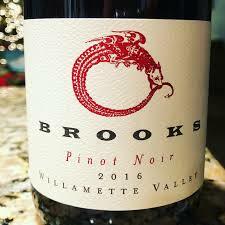 You will get intense dark fruit followed by a dry finish. This is not your typical Pinot or Cab selection. This guy is a beast. Can you handle it? Yes, you can! Enjoy this wine with friends and reminisce about the past decade. 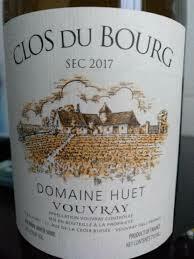 Have you ever had a Vouvray? If not, this is a must try. If so, this is a must try. This Vouvray is considered the best of France by not only the winemaker but many of the producers in the region. You will get a complex fruit driven combination of glazed pear and white ginger followed by pie crust. The acidity is significantly high providing for a balanced experience. Best served now or through 2032. This blend of Garnacha and Cariñena originates from the Catalunya region of Spain. These grapes benefitted from a warm and dry year producing small yet juicy grapes with excellent acidity. 116,000 bottles produced and rated 92-94 points by Luis Gutierrez of Wine Advocate. You will get a bunch of dark fruit with this wine. Black cherries, blackberries, and plums persist throughout. 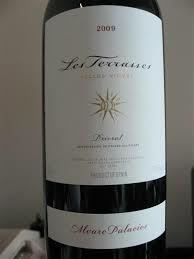 This wine has lots of fruit and is smooth from start to finish with a hint of coffee too. This wine is best served with a spicy dish. Try it with your next curry dish and good friends!